Square isn't just for paying merchants using those little Square readers; it also lets you send personal payments to friends and loved ones, and that's where Square's "Cash" app comes in. Square Cash is both more simple and less flashy than Venmo, but it has some clever tricks up its sleeves, and it's a good choice for users who want to send and receive money from anyone—even those without Square Cash accounts—with a minimum of fuss. 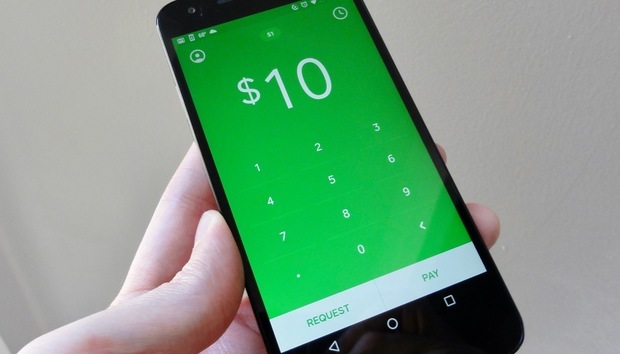 We just wish Square Cash were a bit more flexible as far as splitting checks is concerned. To find more options, check out the other mobile payment apps we reviewed. Note: Square Cash's mobile app is titled simply "Cash" in the App Store and in the Google Play store, but I'll be referring to the app as "Square Cash" in this review. Getting started with Square Cash is relatively easy. Just enter a phone number or e-mail address, wait a minute or so for the confirmation code, then add your debit card details. You then finish out your profile with your first and last names and a "$Cashtag," which is essentially your Square Cash handle. Invite friends if you'd like (both you and your friend get $5 each for successful invites), add a debit card to your account (you can optionally add a credit card, too, but the debit card is required), then you're ready to trade cash. The Cash interface shows little more than a big dollar amount in the middle of the screen ("$0" until you change it), with a jumbo number pad below and Request and Pay buttons at the bottom. Even better, those shy about sharing their personal payments with the planet will appreciate the lack of a Venmo-style social feed. The main Square Cash interface couldn't be more simple, and it's also social-feed free. Just enter the amount of money you want to send or receive, tap Pay or Request at the bottom of the screen, then add a name (or names) from your address book and a short note. Tap the Pay or Request button in the top-right corner of the screen, and that's it. Square Cash has one notable drawback: It doesn't let you enter the total amount of a bill and then split that amount among a group of friends. Instead, you'll need to enter the split amount first, meaning you'll have to do some math in your head before you tap in the dollar amount. Also, you can't adjust the individual amounts in a group request, meaning you'll have to send separate requests if one lunch buddy owes more than another. Square Case will let you split the tab with your friends, but you'll need to do a little math first, and you can't edit individual split amounts. Back on the plus side, Square Cash lets you send or request cash to or from anyone, even if they don't have a Square Cash account. Just enter their phone number or e-mail address, and they'll get a link to your public $Cashtag web page. Once on your $Cashtag page, a visitor can simple enter their debit card information to get paid or pay you, no Square Cash account required. Square Cash doesn't charge anything for debit card transfers, but credit card transfers will be saddled with a (fairly typical) three-percent fee. In a single week, the app lets you send up to $250, although you can boost that limit to $2,500 (depending on the state) by verifying your identity (your full name, date of birth, and the last four digits of your Social Security Number). Meanwhile, there's no limit to the amount of cash you can receive through Square Cash, but you'll have to verify your identity if you get more than $1,000 in 30 days. Square Cash gives you the option of requiring a fingerprint before transferring funds, a wise move in case your phone falls into the wrong hands. As with the other money-sending apps in this roundup, Square Cash offers little in the way of buyer and seller protections. While you can refund someone who's paid you through Square Cash (just tap the Refund link in your transaction history), there's no way to request a refund beyond simply sending a new money request. In addition to your public $Cashtag page (which you can hide if you wish), Square Cash also offers a "Cash Card"—a virtual credit card that lets you make purchases with the balance in your Square Cash account. Once you enable the Cash Card, you can use it as you would any other credit card, perfect for spending your Square Cash balance without having to wait for your money to transfer to your bank account. Another handy option is an "Auto Cash Out" feature, which automatically transfers your Square Cash balance to your bank account. Most other apps demand that you manually transfer cash to your bank. Like Venmo, Square Cash offers an iOS chat app, handy for iPhone and iPad users who want to send money or cash requests via text iMessage. You can also ask Siri to pay a friend using Square Cash. Last but not least, there's also an "instant deposit" feature that—for a one-percent fee—instantly deposits cash into your bank account, bypassing the usual one- to three-day wait. 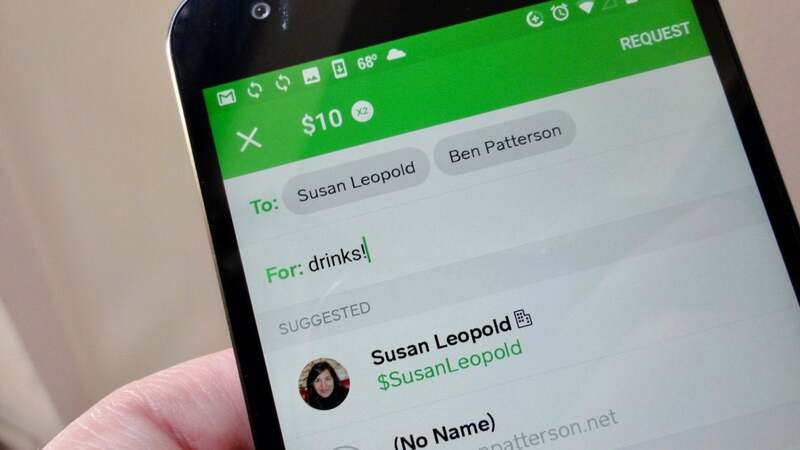 It may not be as hip as Venmo, but Square Cash is a solid option for users who want to send and receive cash from virtually anyone. We love its "auto cash out" and instant-deposit features. We only wish its ability to split the bill were a bit more robust.